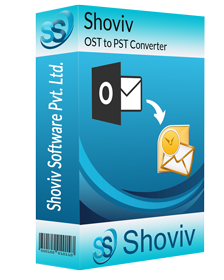 Shoviv OST to PST converter is an advanced solution to safely migrate OST to Office 365 without any risk of data loss. This tool has been designed to be the most email client centric which can deliver instant results without asking for much effort. The tool has been engineered not only to migrate OST files to Office 365 but also to recover corrupt or inaccessible OST file items and to restore them according to requirements. This too has been proactively engineered to migrate OST files to Office 365 without any trouble. You are offered the most seamless conversion process since the tool works by itself and guides you through the conversion process. 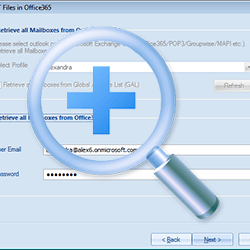 One can map source OST file to Office 365 mailbox for migration. 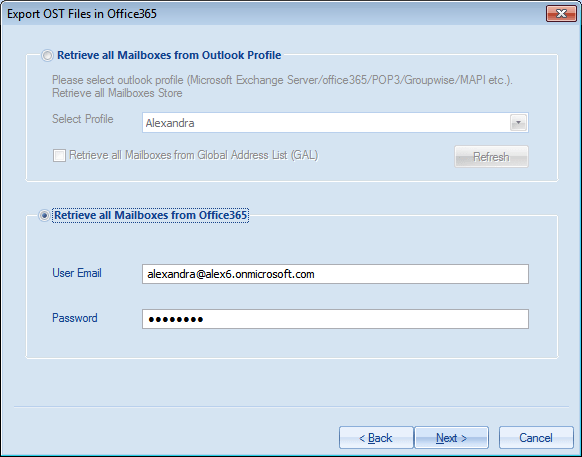 One can also migrate OST file into Office 365 Public folder & Archive mailbox as well. 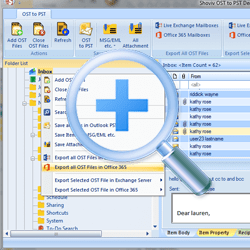 If you want to convert your OST files to Outlook PST format, you can effortlessly do so. This tool is a dedicated for OST to PST converter and handles even the largest PST files effectively. You can even split larger OST files to smaller PST files for better management at the time of conversion. The tool takes care of your email database and retains the integrity of the original email and items. 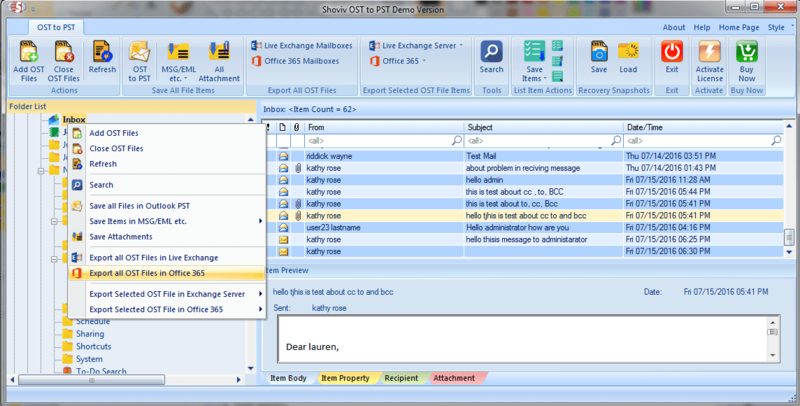 This tool is an ideal solution to migrate OST to Live exchange server with satisfactory result. Since the tool has been designed to preserve the data integrity, you don’t have to worry about the safety of your data. The tool preserves the originality of your data and avoids data modification. Hence, you can migrate OST files to Live Exchange server in hassle free manner. You can also map the OST files to Live exchange mailboxes whenever required. Most of the regular tools that offer to recover or convert OST files to Office 365 cannot handle large OST files. On the other hand, Shoviv OST to PST converter provide you complete freedom to recover and export large OST files without worrying about the performance. This OST to Office 365 migration tool also serves as an all in one OST conversion solution. The tool is enabled with a feature to save OST items to EML, MSG, RTF, VCAL and HTML formats. This gives you a lot of flexibility in terms of the availability of OST files. So for those who want to use their OST items over multiple platforms, this feature is of paramount importance. Shoviv OST to PST converter also maintains folder hierarchy and keep it preserved. You will not misplace even a single item during the process. Just follow easy steps and the tool will handle the rest process. 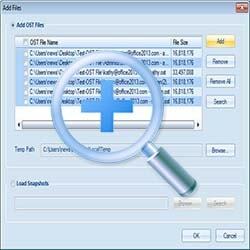 With this OST to PST converter, you can filter the OST file items according to your convenience. 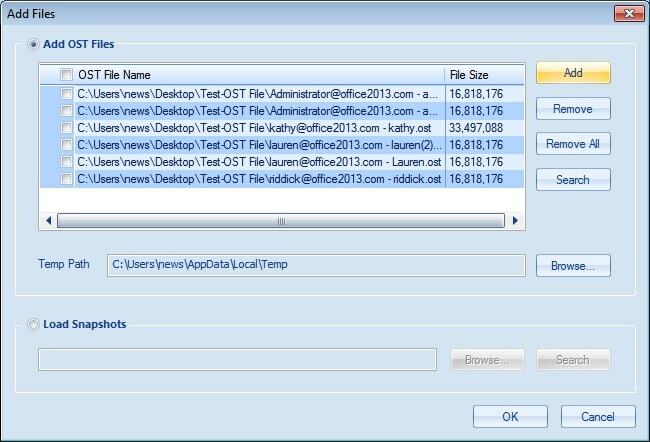 The tool allows you to filter OST file items according to various criteria like item type and date ranges. 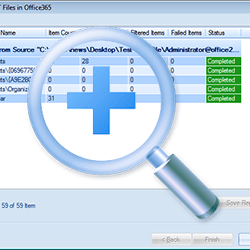 Item filter facility adds flexibility to your OST to Office 365 migration process. 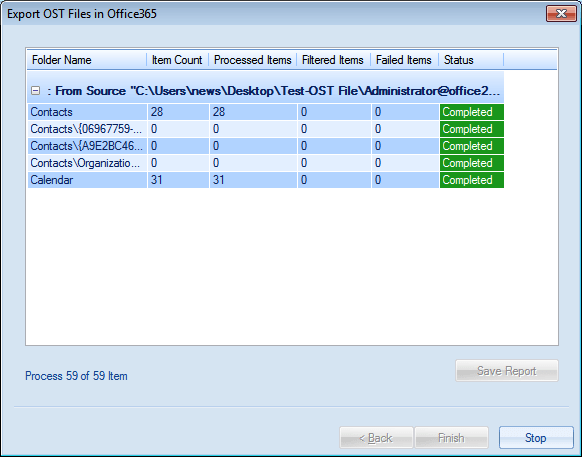 If you want to know the current status of the OST to Office 365 migration, you can look at the progress report. The progress report shows you the current state of the conversion and also provides you with the end result report that you can easily save for later analysis. Sitemap | XML | © 2019 All rights reserved. Shoviv Software Pvt.Ltd.